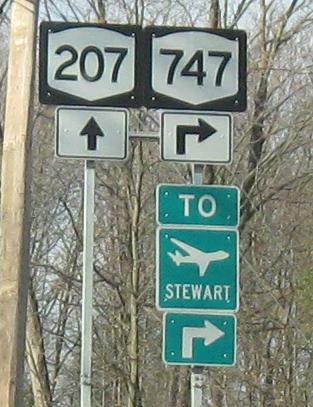 Of course, the road to Stewart Airport leads to Stewart Airport. 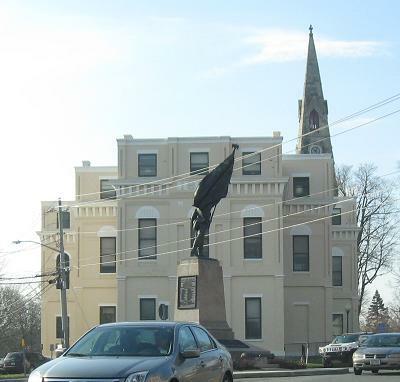 But when the sign was erected, presumably in the 1980's, this was just Orange CR 54. 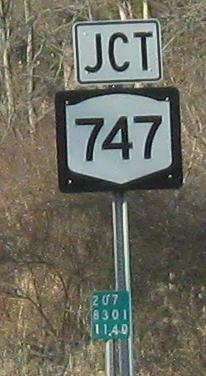 NY 747 is new in 2008 after having been reconstructed to handle potential future airport traffic. Now that there's a state route serving a new entrance that connects to a new I-84 interchange, the airport is free to expand to handle more commercial flights. 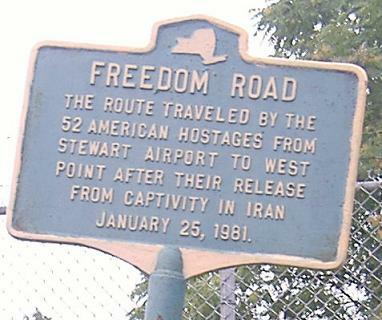 The reason the hostages headed to Stewart back in 1981 is that it had been an Air Force Base, in fact with the world's second-longest runway. It has long been an alternate landing site for space shuttles in emergencies. 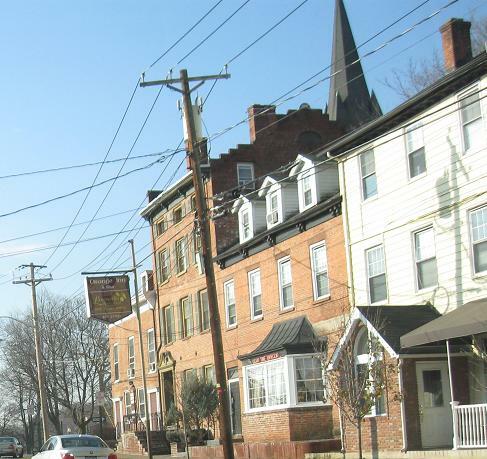 The beautiful town of Goshen. 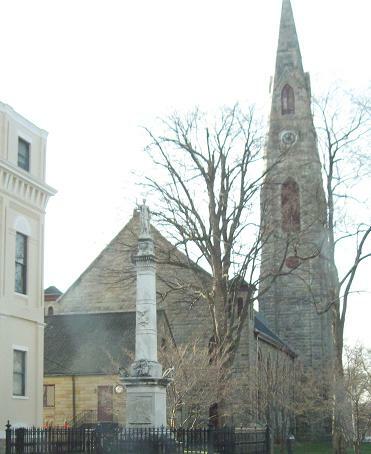 The problem with the new type of shield is evident when it's next to the old one. 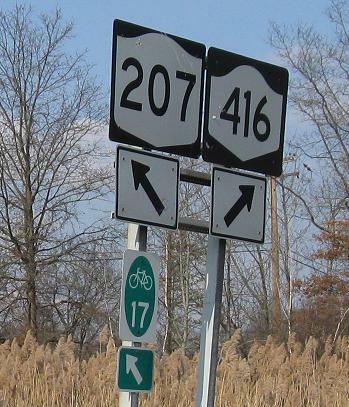 NY 416 is short and boring, or else I'd have a page for it.